Here are some of the most commonly asked questions about Havana cigars. If you have a question not answered on this page then please feel free to ask us directly. Click here for our contact details. What is a Habano (or Havana cigar)? The name “Habano” is an official Denominacion de Origen Protegida (D.O.P) or Protected Denomination of Origin and is only used to describe Cuban cigars of the highest quality. To qualify as a Habano cigars must be handmade in Cuba to the most exacting standards established by the Regulatory Council and only use tobaccos grown only in particular regions of the island. These regions are also protected as Denominations of Origin. In the UK Habanos are most often referred to as Havana cigars. For a more detailed explanation visit our “Beginner’s guide to Havana cigars” pages. What does the term ‘ring gauge’ mean? The ‘ring gauge’ is the measurement of a cigar’s width and is described in 64ths of an inch. Therefore a ring gauge of 42 measures 42/64 inch or 16.67mm in diameter. Likewise a cigar with a ring gauge of 50 has a girth of 50/64 inch or 19.84mm. Does the colour of the wrapper give an indication to the strength of a cigar? No. Though wrapper colours vary between boxes, from Claro (light brown) to Maduro (dark brown), it is the blend of the filler leaves that dictates the intensity of flavour and aroma. If anything the wrapper leaf provides a slight ‘top-taste’, with dark wrappers adding a touch of sweetness and light wrappers providing a hint of dryness. What are the correct conditions to store cigars in a humidor? Havanas should be stored at between 16-18°C and 65-70% relative humidity. The relative humidity is most crucial. If a Havana becomes too moist it will be hard to keep alight and the excess moisture will inhibit and dilute the natural oils which are released when you light a cigar. Conversely, if you allow the cigar to dry out, these oils will have dissipated and may result in an unsatisfactory smoking experience. How can I check if Havana cigars are being stored in the correct conditions? There are several types of hygrometers available that provide you with an accurate reading of the relative humidity within your humidor. However, a simple and reliable way to test the condition of a cigar is to hold it between your thumb and index finger and squeeze gently. If it feels firm but springy then it is in good condition; hard and brittle means too dry, soft and spongy means too wet. If cigars dry out can they be revived? It is important to store cigars correctly at all times. Unprotected cigars can quickly dry out, becoming fragile and run the risk of damage. If the cigars have lost moisture over a short period of time and feel a bit hard, they are easy enough to revive. Simply place them back into a well maintained humidor and allow them to reacclimatise. This may take a few days to accomplish. Cigars that have dried out over a longer period of time are more problematic. If kept too dry for too long cigars will permanently lose their natural oils and taste. It is always worth trying to revive cigars from this condition as the alternative is to throw them away, but success is far from guaranteed and it may be best to consult your local Specialist in Havana Cigars in this instance. A white mould-like substance appears on my cigars periodically. Is this harmful? No. This is called ‘bloom’ or ‘plume’ and occurs naturally on Havana cigars, most often when they are subjected to a sudden increase in humidity. It is a sign that the cigars are alive and well and should simply be removed with a soft brush. Can I store Havanas in a fridge? No. Fridges are dry environments that will only serve to remove all the natural moisture within a Havana cigar. Also, fine cigars readily absorb smells that are in abundance in refrigerators. Do tubed Havanas need to be stored in a humidor? Tubed cigars maintain their condition out of a humidor far longer than untubed cigars. The cedar-lined aluminium tubes help preserve the cigars from damage and drying out. However, for long term storage or ageing it is still recommended to place the tubed cigars into a humidor. Should the band be removed before lighting a cigar? No. Removing the band at this stage can damage the delicate wrapper leaf. If you wish to remove the band do so after smoking for around five minutes. When the cigar has warmed up the band will be easier to remove. Even then the band should be peeled off rather then pulled off like a ring off a finger. Can you re-light a cigar if it goes out? Yes. First tap it gently in an ashtray to remove any excess ash and then gently blow through it to clear out any stale, residual smoke that may linger within the filler. Now reapply a flame to burn away the edge of the wrapper and then light as with a new cigar. This is only recommended if the cigar has been extinguished for less than an hour or so. Any longer than that and the cigar may taste bitter or charred. Are there any guidelines for newcomers to Havana cigars? Novices should start with lighter flavoured Havana brands like H. Upmann or Hoyo de Monterrey for example, and then work their way through the range from there. It is also recommended that, to begin with, they should focus on the smaller sizes. Even the lighter Havana cigar blends can become overwhelming for a newcomer if the cigar lasts for longer than expected. What does EMS stand for and why is the stamp only found on boxes/packs of Havanas sold in the UK? EMS is a description that has been used in Cuba for over a century to identify the quality of cigars designated for the British market. Hunters & Frankau introduced the EMS Stamp as an easily identifiable mark of quality and authenticity for Havanas sold in Britain. The stamp is now applied to all boxes and packs of Havanas that have passed a UK quality inspection. All Havanas selected for sale in the UK domestic market bear the EMS stamp. To learn more about the EMS concept please click here. What are Ediciones Limitadas (Limited Editions)? Each year, Habanos SA, the Havana based company responsible of marketing and distributing Habanos worldwide, release a number of exceptional cigars known as Ediciones Limitadas or Limited Editions. The characteristics of Limited Editions are that they are made by the most celebrated Havana cigar brands in rare sizes, using dark coloured wrapper leaves and extra aged tobacco. Since 2000, when the first series of four Limited Editions was unveiled, a further two to five releases have been made annually with the year of release identified on a second band on the cigar. 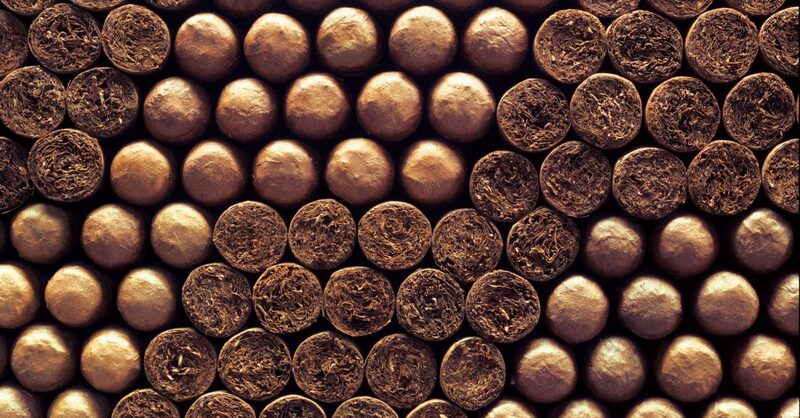 The exact quantity made of each release is not declared because the Cuban industry will not know how many cigars of each size can be made until the bales of specially aged tobacco leaves are opened and graded for quality and colour. Only the very finest leaves make the grade. Up until 2007, only the wrapper leaves were subjected to extra ageing (2 yrs), but since then all the leaves used for Limited Editions carry this extra age. What are Ediciones Regionales (Regional Editions)? Since 2005 Hunters & Frankau, along with the other Exclusive Distributors of Havana cigars in different territories around the world, have been invited by Habanos S.A. to bid for the chance to develop their own special cigars in some of the less well-known Habanos brands. These cigars, made in limited quantities and for sale exclusively within their own markets, are known as Regional Editions. All Regional Editions are made in certain non-global brands in standard Habanos vitolas (cigar sizes) that are new to the selected brand. 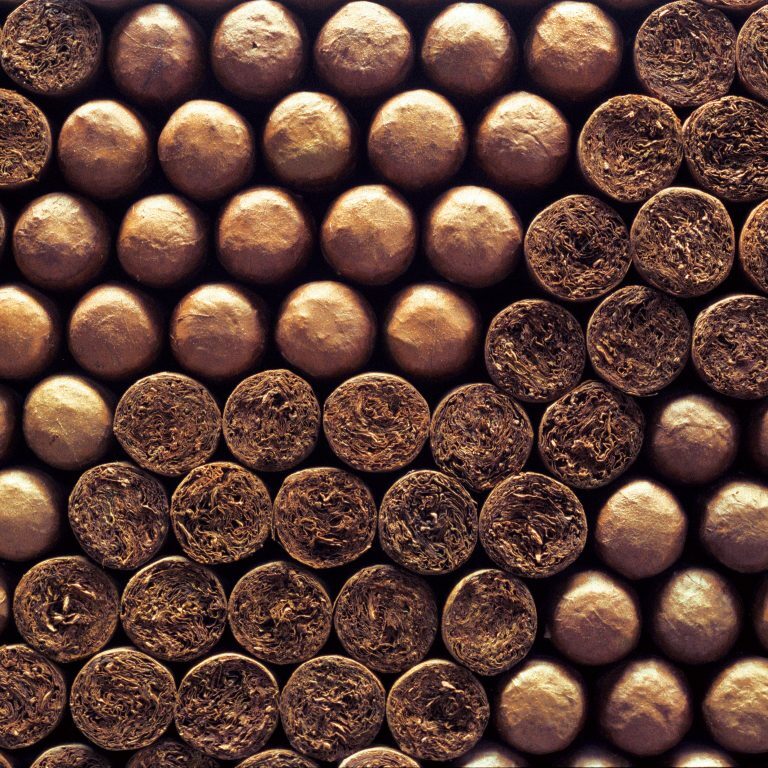 In 2005 Hunters & Frankau were among the pioneers of this project with the UK release of the Ramon Allones Belicoso Fino, one of the very first Regional Editions. Uniquely, this cigar was released without the silver and red second band that now adorns all Regional Editions. Since 2005 the Regional Edition concept has been refined. Boxes are all now individually numbered and each cigar is dressed with a second band identifying the region for which it was made. Between the 2008 and 2011 Hunters & Frankau (as well as other distributors) were able to request two Regional Editions per year. In 2012 Habanos s.a decided to return to offering each distributor the option of requesting one Regional Edition per year, a decision that remains in place today.